Go-Live time 2019/5. - nexxar lab. - nexxar lab. The Shell Annual Report 2018 is – again – an outstanding example of optimized accessibility. The dynamic table view can be activated or deactivated at any time and the interactive key figure tool provides different display formats (table, bar chart or line diagram). Also, with the help of a screen reader all charts and graphics become accessible. Via the change report layer the user can easily switch between the Annual Report, the Sustainablity Report and the Investor’s Handbook – both to be published in April. Additionally, all three reports offer cross references and thus enrich each other. 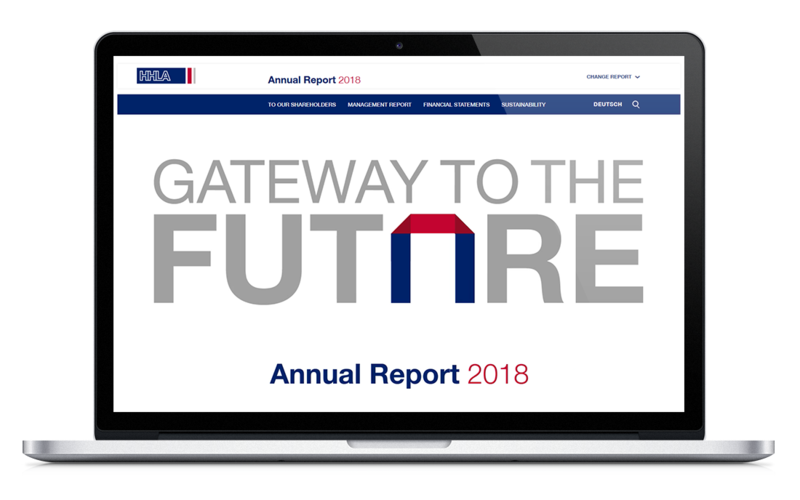 For this year’s Annual Report of Hamburger Hafen und Logistik AG we developed a completely new design concept reflecting the updated corporate strategy. The landing page embraces the animated claim “Gateway to the future” and impresses with a full-screen background video. Overall, the refreshed design within the content pages and the header provides more clarity. For the second year in a row we also produced the elaborate CEO video. 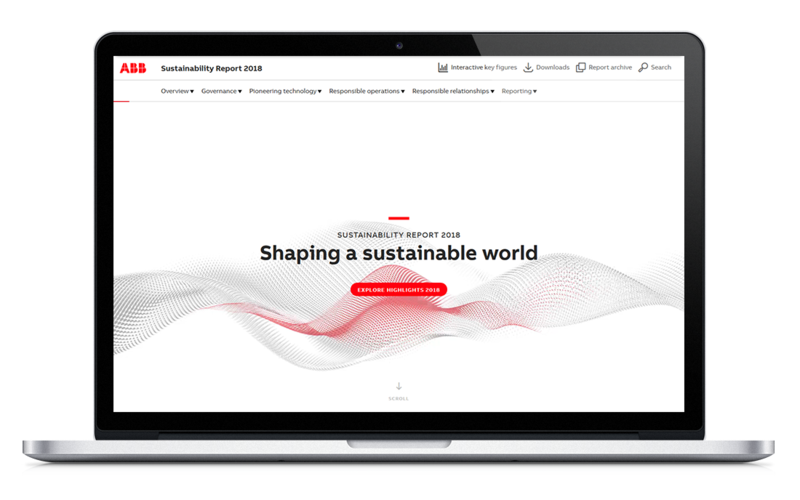 A catchy animation on the landing page welcomes the user to the ABB Sustainablity Report 2018 and directs attention to the highlights of the reporting periode. 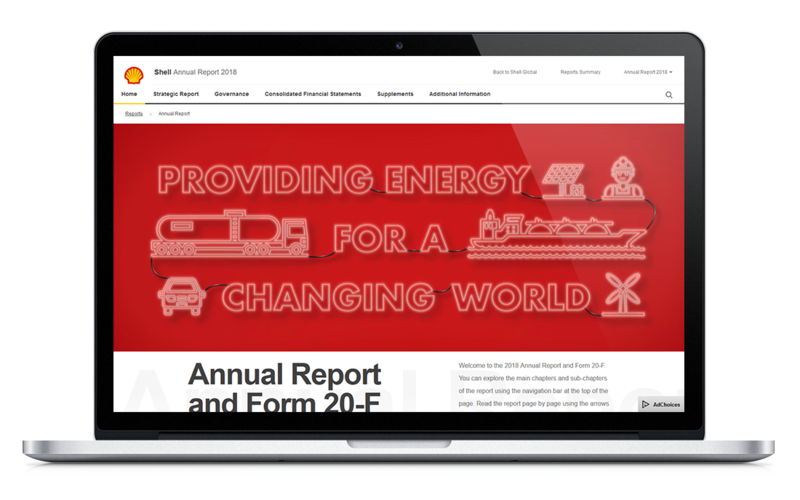 A core element of the report is the interactive SDG graphic inviting the user to explore ABB’s contribution. Also with the content pages the report integrates the SDGs by interlacing case studies as extendable accordions. Smaller animations e.g. applied for the value chain complete the report.